Make the spice mix by mixing all the ingredients together. Blanch the potatoes for two minutes in boiling water and drain. Leave to cool. Toss through the spice mix and put on a preheated baking tray. Spray with some cooking oil spray and bake in the oven until crisp for about 15-20 minutes, turning halfway when becoming golden and crisp. 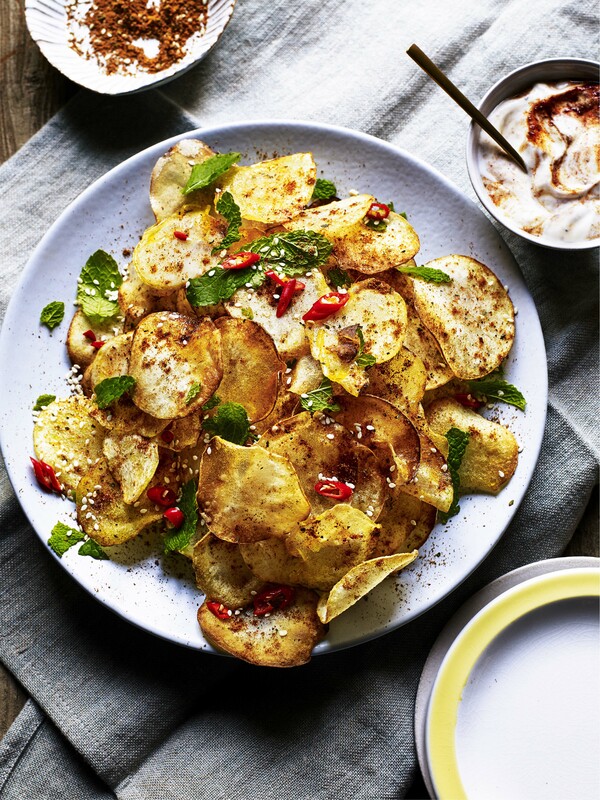 Stir the harissa through the yoghurt and serve with the crisps, sprinkled with spring onion, chillies and coriander.